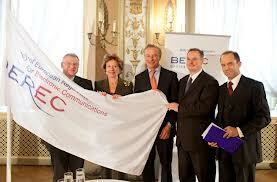 Berec, the European agency grouping the national telecom regulators, has rejected the serious doubts expressed by the European Commission vis-à-vis the decision of Italian regulator AGCOM to decrease the price of access to the copper network (ULL and bistream) of the incumbent Telecom Italia. It is a second time in the recent period that Berec takes a strong dissenting opinion against the European Commission on a fundamental matter like network access: few week ago a similar negative position had been expressed also with regard to a similar case in Austria, where the national regulator, likewise AGCOM in Italy, had decided to lower network prices. The divergences of opinion between the 2 authorities regarding the modality and the criteria to fix prices for network access is becoming a fundamental matter of policy debate. The national regulators have openly contested the scope of Commissioner Kroes, responsible for the Digital Agenda, to “centralize” such decisions and impose the price from Brussels (although within a specific band, i.e. 8/10 Euro/m in the case of ULL) . Commissioner Kroes tried to formalize this major step into a recommendation (announced since July 2012) which would have radically altered the 2009 Framework under various aspects (discrimination remedies; copper prices; NGA development). However, the reform found strong oppositions from the side of regulators and alternative operators, and also some cold approach by governments. Kroes’ recommendation was been finally approved on September 11, 2013, however the final text has been radically watered down with respect to the initial proposal. Fact is, the pretention to impose mandatory prices, and in general to restrict the discretionary powers of regulators, has been finally dismissed. As regards the Italian case: regulator AGCOM will be now sufficiently confident to defend its decision and eventually to negotiate an amicable solution with the Commission from a strength position. In any case, art. 7a of the Framework Directive (Directive 2002/21/EC) empowers national regulators to disregard the position of the Commission, provided that a reasoned justification is provided. This happened recently twice with German regulator Bnetz, which decided not to obey the Commission’s instruction in a couple of cases of termination prices. The divergences between Berec and European Commission on specific national cases like Italy and Austria run in parallel with another fundamental matter of conflict, i.e. the Single Market proposal, which national regulators have criticized with a surprising strong statement few days after the announcement by Commissioner Kroes, on September 11, 2013.